The Viennese repelled the Ottomans in 1683. Now Middle Eastern money is needed to shore up the Austrian capital’s banking jewel. After expanding in former Ottoman lands, Raiffeisen needs capital to retain its empire. A deal would represent more than historical irony, though. Workers dig a trench for electricity cables in front of a branch of Raiffeisen Bank in downtown Bucharest. Austria’s Raiffeisen group may repay state aid before the 2017 deadline but is not rushing to do so, Raiffeisen Bank International Chief Executive Karl Sevelda told reporters on Nov. 15. Sevelda also said that as part of a range of measures to raise capital the bank was considering offers for its Ukrainian unit and shrinking in Slovenia and Hungary. Raiffeisen said on Nov. 18 that it had no fixed plan to sell its Ukrainian unit. 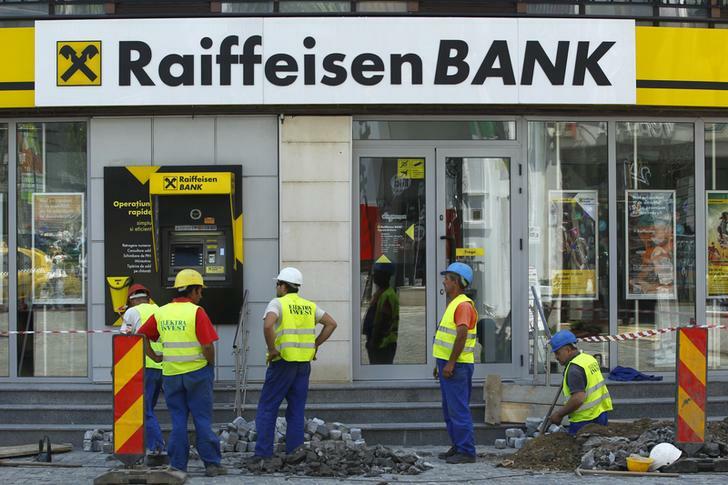 Raiffeisen raised 2.5 billion euros ($3.39 billion) in “participation capital” or non-voting shares, including 1.75 billion euros from the state, to shore up its balance sheet in 2009.